Less known than its neighbor, South Africa or Botswana, Namibia is a paradise for lovers of vastness, of infinite landscapes and wildlife photography. A place to discover and to bring back memories. And with a furious desire to return there! 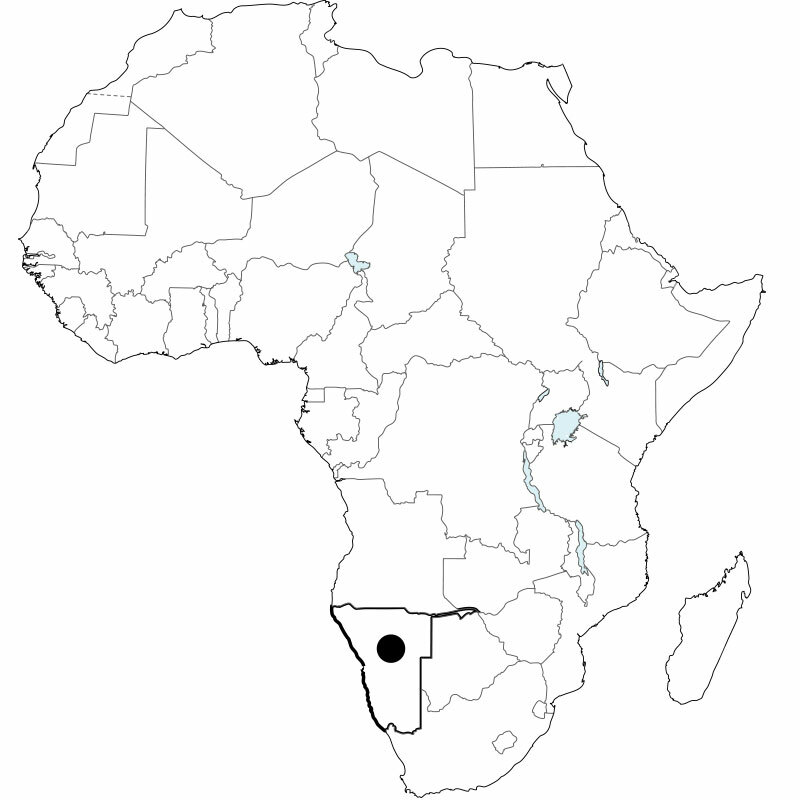 Windhoek : capital of Namibia since the country’s independence in 1990 after a German colony until 1920, then a province of South Africa. 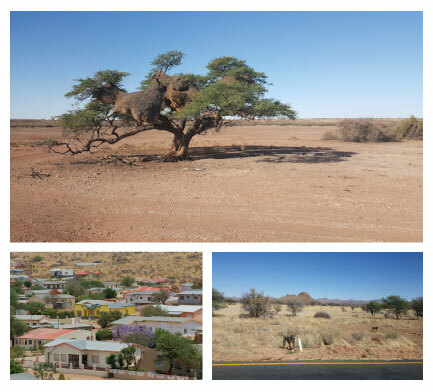 Languages: English is the official language, but many Namibians also speak Afrikaans and German in addition to the Khoisan languages, which use “klik” special consonants punctuated by typical sounds. 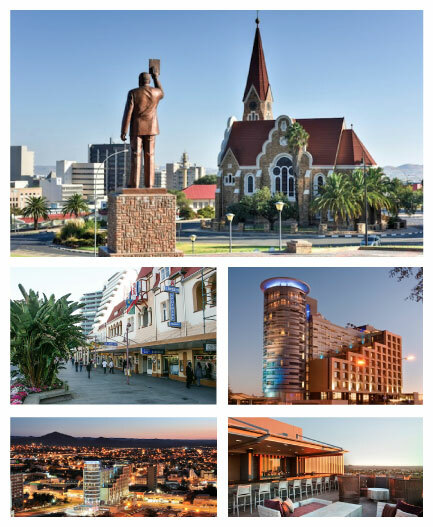 Capital of Namibia since the country’s independence in 1990, Windhoek is now changing. If the central artery (Independence Avenue) is always lined with houses that make you irresistibly think about Germany and its colorful buildings, witnesses of a presence of several decades, the sites are increasing. We feel that the city wants to fully enter the twenty-first century and to develop a contemporary architecture in line with its rank of capital. However, as soon as we come out of some central streets, nature quickly reasserts itself and baboons do not hesitate to bicker on roadsides that take you to the South and the Kalahari Desert. Where to sleep ? Hilton Windhoek. Located in the center, a few hundred meters from the Supreme Court and from the presidential palace, this modern and comfortable hotel to rest after a long flight while enjoying the pool on the roof-top overlooking downtown. To join the Kalahari Desert, go south. 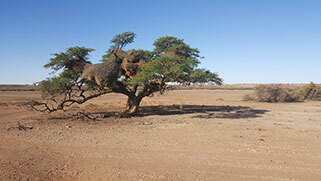 The strip of asphalt stretches under a blazing sun, between semi-desert landscapes dotted with acacia trees silhouette recognizable and stop in small towns where you can buy some local specialties (such as biltong, this high calorie dried meat that can hold several hours without a proper meal) or as in Rehoboth Mariental. Do not expect to real shopping centers. This is especially particularly busy stations. A few kilometers, and here we arrive at our hotel, the Anib Lodge. A dozen small houses around the pool surrounded by palm trees provide some shade. The comfortable rooms, all with a small terrace decorated with a swing, allows you to relax after hours of car. By late afternoon, you should not miss the jeep tour that allows to attend the sunset and marvel at the many animals that take advantage of the cool (relative) s for the evening ‘ cheer in the bush. By being a little patient and thanks to the wisdom of your guide, you zebra, wildebeest, giraffes and antelopes of all kinds! It remains only to be carried away by the magic of the landscape, the beauty of the sunset a glass in hand lights before returning leisurely dinner at the lodge. Where to sleep? 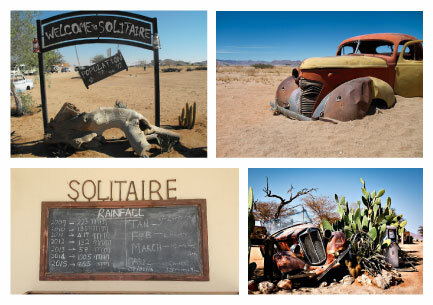 Kalahari Anib Lodge is a charming stopover to enjoy the beauty of the Kalahari Desert. Comfortable rooms with mosquito nets, resilience restaurant with delicious specialties (like salad Springbok) with beautiful fixtures that evoke the ostrich eggs. And a shop that can be equipped with the necessary (hat, scarf and sunscreen) in case you forget. 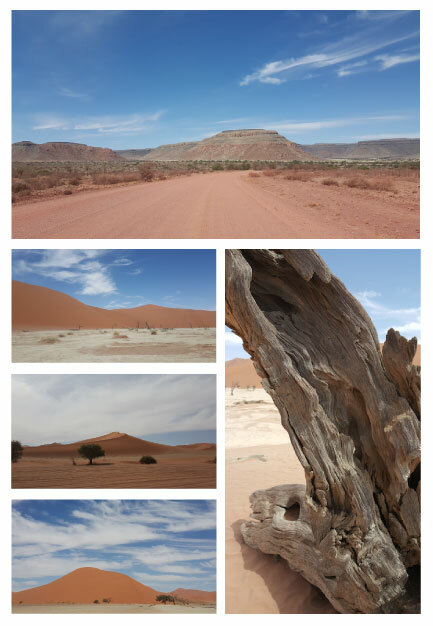 To reach the Namib Desert in the west, the road is much less comfortable and the asphalt is quickly replaced by a track. Discomfort that is quickly forgotten in front of the grand magical landscapes. Little or no houses along the way, but incredible perspectives on mountain ranges that we never joined and which spread to infinity. To pause out of time, stop at Malatahöhe in the village shop. Where to stop? At the time, flea market, internet café (when wifi works), meeting place, the Woestynkombuis is charming and quaint. Feel free to leave an indication of your home town on one of the walls (if there is room) or to place a pin on the world map that hangs on the wall near the entrance. 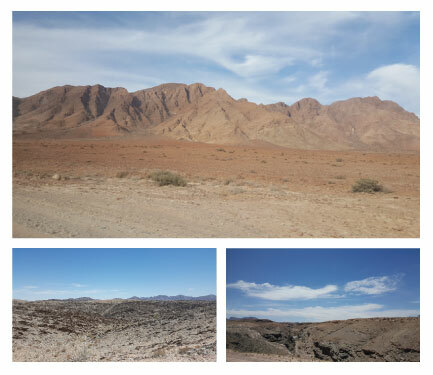 At the end of the runway, in Seisriem, begins the Namib Desert. Huge red sand dunes which rise to some 250 meters high making it the highest in the world. There, you will have to change vehicles to get close to Sossusvlei and Deadvlei, a petrified forest of trees in an ancient dry lake. The drivers know the track by heart, which avoids getting stuck … count still an hour walk to reach this high place of the Namibian tourism, under a blazing sun that includes having closed shoes to avoid burning the sand that rapidly reached 50 ° C and especially good water supplies. Dehydration can happen very quickly, without even that one realizes it. 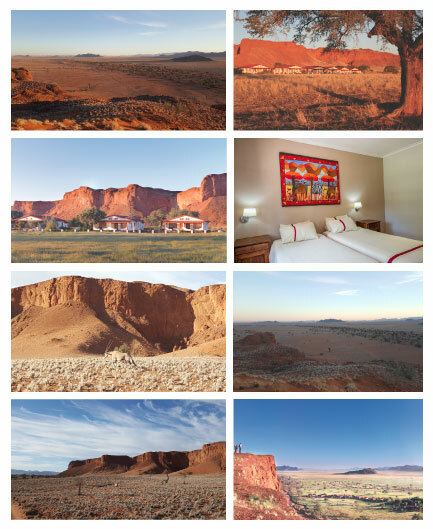 Facing a huge petrified dune, the Namib Desert Lodge is an oasis figure of freshness and tranquility after the Sossusvlei. Colorful bungalows, all with terrace, house simple but comfortable rooms. And after dinner, it is good lazing under trees watching the oryx romp without worry around. But do not wait too long because it would be stupid to miss the sunrise from the top of the dune. A moment of pure happiness to contemplate the landscape change of color, moving from deep blue to mauve heralding the first rays that illuminate and then warm tones reflected in the sand. Such as the beginning of the world. Where to sleep? 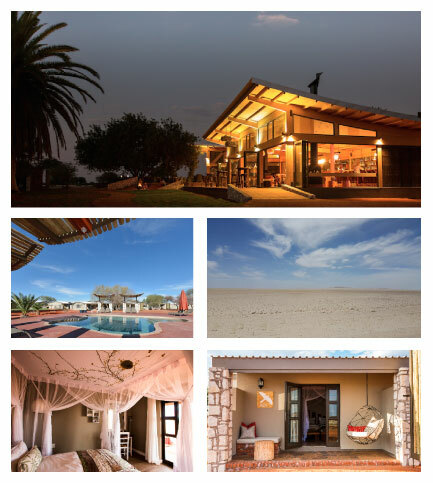 Pool, comfortable rooms, good restaurant, the Namib Desert Lodge is perfect for relaxing between Sussusvlei and the Atlantic coast. On the road to the Atlantic, mandatory step in Solitaire. Lost in the middle of nowhere, this service station which is reached after crossing several mountain passes and canyons is the last possible stop before the sea. So not only did we refueled, we take photographs with the numerous wrecks antique cars, but mostly we stop at Moose McGregor’s Desert bakery, a famous pastry bakery across the country for its strudels, these pastries with typical German apple. The sand stretches on kilometers, the mountain lines which bar the horizon succeed when suddenly … the Atlantic is there. 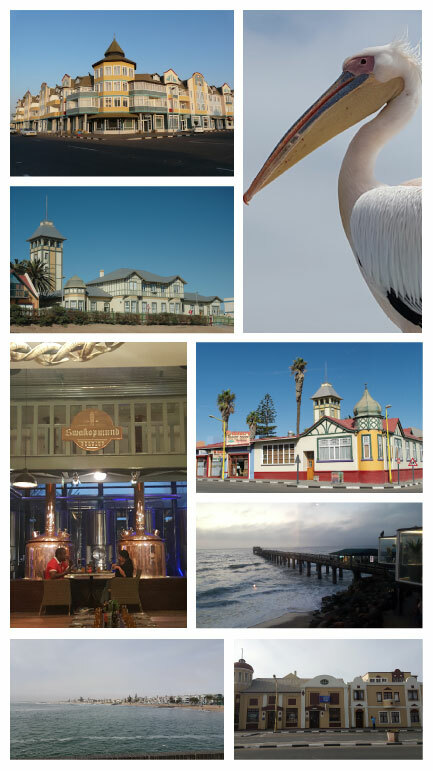 Both seaside city and main port of Namibia, Swakopmund has the quaint towns of the North Sea, the African atmosphere and more. If there still German heritage is very present, the most recent buildings tend to ignore this very architecture Mittel Europa. For lovers of sea ride, please go to Walvis Bay to board one of several catamarans that allow to go to the discovery of huge seal colonies or even see orcas and whales. Where to sleep? The Strand Hotel, facing the beach in Swakopmund, allows to enjoy a completely renovated establishment in the last few months, the international comfort rooms. Located just steps from the pier, it can enjoy the many restaurants that line the beach where of course taste the seafood, generous here. Do not miss the brewery located in the heart of Brewer & Butcher Restaurant, the hotel’s pub, to sample the brews house accompanied by grilled eland and oryx. Qatar Airways now operates daily through the Namibian capital Doha.